If you want to lower your cholesterol level than you should choose healthier fats, saturated fats have been known to increase your cholesterol level. In fact, both red meat and dairy products produce saturated fats. It’s better to purchase low-fat dairy products and leaner meats if you want to watch your cholesterol level. Purchasing such items will also benefit your body’s overall health too. Do you have high cholesterol? If the answer is yes, then it’s better if you stay away from trans-fats. Trans-fats impact cholesterol by increasing the bad cholesterol and decreasing the good. Profit-making products like snack cakes, cookies, crackers, and even fried food have traces of trans-fat in them. However, brands in the United States can label food trans-fat-free if there are less than 0.5 grams of trans-fat in a serving. Make sure you read labels and know about the ingredients before you eat a product. 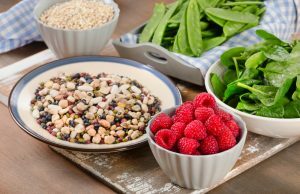 While there are two types of fiber soluble fiber will be better for your heart health. In addition, it can also decrease LDL levels. Some foods that are classified as soluble fiber include oats, oats bran, fruits, and beans. These foods can be incorporating into any meal as a side dish, mixed into an entree, or chopped up into a smoothie. Therefore, these foods can help your heart stay healthy by adding a little twist to your diet. Omega-3’s are essential to keeping the heart healthy. Fish like salmon, mackerel, and deep-sea tuna have large quantities of omega-3’s. However, omega-3’s are also found in seeds, tree nuts, and fish oil. If you want to keep your heart functioning properly, then it’s best to eat a healthy amount of omega-3’s. At least try and add them to your diet, if you do you’ll see a change within months. Monounsaturated fats should be sought after since they reduce unhealthy LDL cholesterol; however, they increase good HDL cholesterol. In fact, monounsaturated fats even decrease negative oxidation. Foods that contain monounsaturated fats include tree nuts, olives, olive oil, and avocados. If you want to help your cholesterol levels, then try eating some of those foods more often. You may even see a change after a period. It’s known that regular exercise can improve cholesterol levels. It’s suggested that a person exercise at least thirty minutes a day. Any physical exercise is helpful. If you like to do yoga in the morning before work, then keep doing your routine. Even walking up the stairs instead of taking the elevator can be productive. Some people don’t have the time to do a thirty-minute exercise, and that’s fine. There are always ways to work around a busy schedule. You can always do ten-minute intervals of exercises in between chores, homework, or work assignments. However, it’s important to remember to have fun while exercising. Some people exercise to lose weight or to have something to do whatever your reason is, make sure you make exercising fun for you. Being overweight is one of the contributing factors for having high cholesterol. If you are overweight, it’s suggested that you lose some weight. After the weight loss, you’ll see a difference in your cholesterol levels. However, losing weight can be difficult. One tip to remember is don’t eat because of your emotions. Eating because your sad can lead to a lot of extra calories that you wouldn’t have eaten otherwise. Therefore, try not to eat because of your emotions since it only leads to weight gain. If you’re a smoker, then it’s advised that you quit. 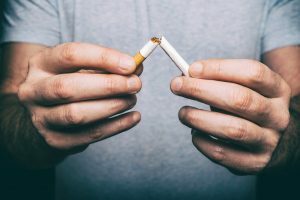 There are many health benefits from quitting smoking like improved cholesterol, heart health, and blood pressure. If you’re struggling to quit there are many organizations, programs, and groups that will help you. In addition, there are many online resources you can use to get the best advice on how to want to quit smoking. A lot of adults drink alcohol but do you drink it responsibly? It’s essential if you want to drink alcohol that you do so in moderation. If alcohol is not consumed in moderation, then there can be severe health repercussions because of it. For example, alcohol poisoning and liver disease are attributed to alcohol consumption. Women should only drink one alcoholic beverage; however, men can have up to two drinks. Therefore, if you want your body to be healthy alcohol needs to be consumed in moderation. While some people agree with supplements, others don’t. However, doctors have said that supplements help not hurt your body’s function. Fish oil and psyllium are the most common supplements used to treat cholesterol. Fish oil has a high amount of omega-3’s and decreases the chance of heart disease. While psyllium is a type of soluble fiber and it can lower your total cholesterol. Whether you like or dislike supplements, you have to agree that these supplements offer a lot of rewards. There are many ways to improve your cholesterol. While some of them include dietary changes, others allow for lifestyle changes. If you have high cholesterol, why not give one of these ten tricks a try?